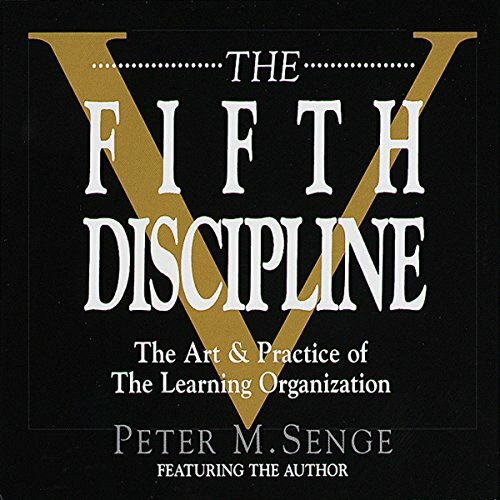 Peter Senge's national best seller, The Fifth Discipline, revolutionized the practice of management by introducing the theory of learning organizations. Now Dr. Senge moves from the philosophical to the practical by answering the first question all lovers of the learning organization ask: What do they do on Monday morning? More people are discovering the freedom of being fully present in the moment, yet how do we stay present in the middle of a family crisis or a hectic workday? 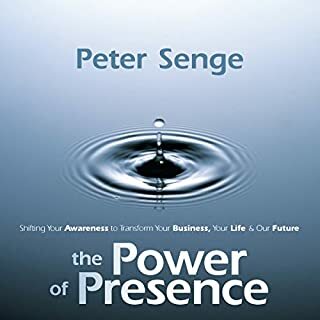 With The Power of Presence, Peter Senge presents a practical seminar in a skill he calls "presencing": a method for applying the serenity of living in the now to even our most demanding, high-pressure challenges. Reframing Organizations provides time-tested guidance for more effective organizational leadership. Rooted in decades of social science research across multiple disciplines, Bolman and Deal's four-frame model has continued to evolve since its conception over 25 years ago; this new sixth edition has been updated to include coverage of cross-sector collaboration, generational differences, virtual environments, globalization, sustainability, and communication across cultures. The founder of Menlo Innovations and author of the business culture cult classic Joy, Inc. offers an inspirational guide to leaders seeking joy in the challenge of leading others. Filled with colorful anecdotes from Sheridan's personal journey and wisdom from many leadership mentors, Chief Joy Officer offers an approachable, down-to-earth philosophy and practice that will help even the most disillusioned of middle managers bring a renewed sense of purpose to their work building others. To compete with today's increasing globalization and rapidly evolving technologies, individuals, and organizations must take their ability to learn - the foundation for continuous improvement, operational excellence, and innovation - to a much higher level. Mastery of Senge's five disciplines enables managers to overcome their obstacles to growth and creates brave new futures for them and their companies. 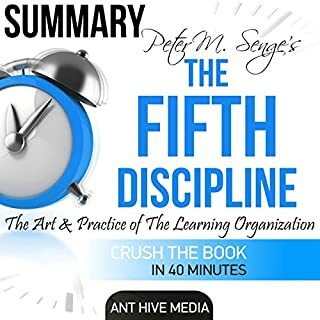 The five disciplines are drawn from science, spiritual wisdom, psychology, the cutting edge of management thought, and Senge's own work with top corporations that employ his methods. 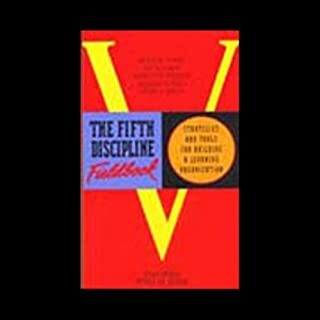 Listening to The Fifth Discipline provides a searching personal experience and a dramatic professional shift of mind. I know better than to buy an abridged book but yet I did it again. You are not going to get the details you need to understand Learing Organizations. If you purchase this you will find your self on-line trying to find the details needed to make this learning complete. Shame on me for not realizing this was an abridged version, and the older version of the book no less! So much for trying to follow along with the printed copy. Taught me to read the details closely before buying next time. I knew I was getting the abridged audiobook from the 1994 edition, but the content is drastically different from the 2006 version. The Audible version is listed along with the 2006 edition is you search audio, so if you want the main points of the updated text, you won't be disappointed. However, know that you are missing out on a lot of information and helpful illustrations. I wish an UNABRIDGED audiobook was available for the updated edition. Good program, that gives a comprehensive perspective. The fact that Peter Senge is not the narrator for the entire program should have been made clear. This book explained what I would have called "teamwork" very well. I became better able to express how people who are independent and highly talented can achieve better results if they understand that they are part of a system. I see how people can take independent action, but also recognize their responsibilities to a system which includes co-workers and supervisors. This was very helpful to me as a supervisor. This should be marked as an abridged version! I did not know I was getting abridged version, no mention in description from mobile, please correct the listing details. great book on five critical disciplines in business and life; however audible recording doesn't agree with new book, very frustrating. This is not even close to the full book. It is an extremely short summary. Do not be fooled. seemed overly simplified to shorten for audio. would like unabridged release and please update to latest version. This is great to listen to, although he doesn't narrate the whole thing - hearing Peter Senge's enthusiasm is fantastic. 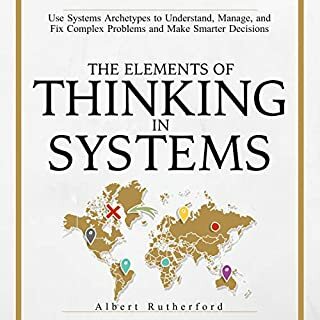 A word of warning though, because systems thinking is a visual thing you should treat this as a companion to the book rather than a replacement. You won't get the idea of systems diagrams from just listening. Very disappointing - feel conned. The only positive are the bits where Peter Senge speaks - quite a captivating speaker. This book just felt very “light” in substance. The theories are good but very little in way of practical ideas to implement. Will be getting the field book to see if that sheds more light on the subject. 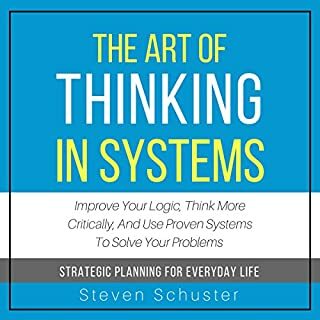 Great concept and opened my eyes to system thinking. However I found the format jumpy as it explained the ideals and my mind wandered while listening rather than being engaged throughout. this could have been the result of the chapters being rather long. language is out of date, but still good. Good narration, but the story, language and examples badly need to be brought up to date. Even so, the message is still clear, relevant, and insightful. audio book felt like a good summary of a big book. Over all lots of good info and most of the concept coverd. Where does The Fifth Discipline rank among all the audiobooks you’ve listened to so far? What about Peter M. Senge’s performance did you like? A palatable scientific approach to ancient wisdom. Peter Senge has some gold nuggets, well worth the time. Very disappointing audiobook. The content was very limited and was over-explained. one chapter was almost a rehash of another's work and offered little of use for the balance of the book. I loved this book. 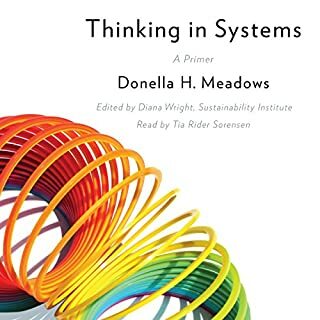 It is unfortunately still challenging in the business domain to find people who think systemically, believe in personal mastery and apply design thinking practices. I really enjoyed hearing Peter speak and laugh. Well worth the read especially of you are someone working with organisations in a consultative capacity. When I got to the end, I went back to the beginning and listened a 2nd time. Some interesting lessons on creating dialogue and learning organisations. Highlights the value of learning while doing, learning within the organisation, verses what is learnt in a school. There were some real gems in this book but I found it hard to stay interested. The beer game was long and drawn out and seemed over the top. Some example like the water faucet were over-explained for me and other really important key concepts like the five disciplines were skated over and I wanted to know more. Perhaps this book assumes the reader is already familiar with Senge's work. Most disappointing and puzzling for me was that Senge doesn't give credit to Robert Fritz when he talked about creative tension and structural dynamics - he even used Fritz's explanation of the rubber band. He gave credit to other people throughout the book so why not Fritz. Was excited about this book and there are some gems and I will read more of Senge's work to learn what I want to know more about but this book did not meet my expectations.